Sea turtles are threatened when they ingest plastic trash found in the ocean. 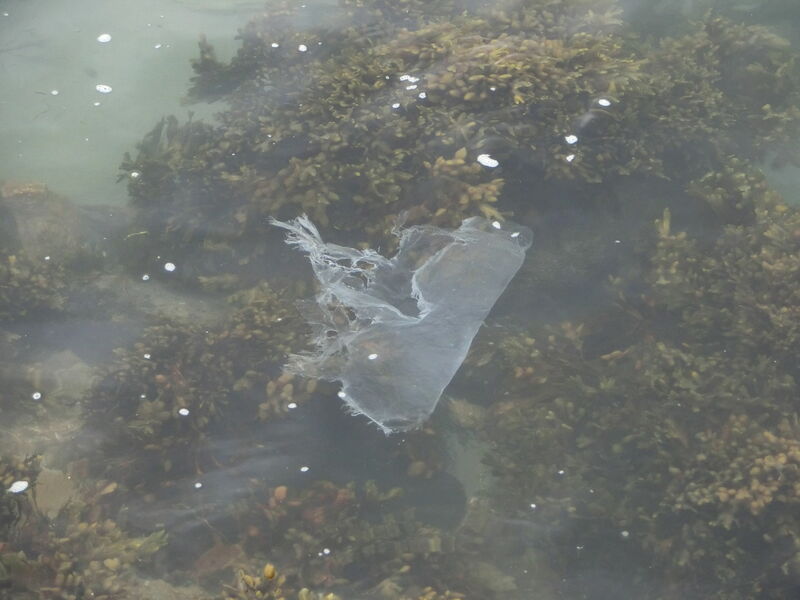 This decaying plastic bag looks like a jellyfish and a sea turtle would consider it food. Photo: seegraswiese | WikimediaCC. According to a recent study, roughly 52% of turtles worldwide have ingested some human rubbish, generally plastic. This revelation comes quickly after a study that found 60% of seabird had also ingested plastic in some form or another. When turtles eat garbage, it has the potential to get lodged in their gut, where it can cause physical harm, take up space within their digestive tract, or even release toxic chemicals into their tissues. The rubbish comes from the roughly 12 million tonnes of plastic that finds its way into the ocean annual. That’s a lot of plastic and, unfortunately, a lot of it can be mistaken for food by unaware turtles. In the case of olive ridley turtles, this can be especially dangerous as these turtles have a wide distribution, and tend to feed in the open ocean where debris accumulates. They often eat jellyfish and other floating creatures and could easily mistake bits of trash for their regular prey. The waste problem is especially severe in Australia and North America, both of which host a wide variety of sea turtles, and have large urban populations, the kind which tends to produce trash that ends up in the ocean. As such, people living on these continents have to find ways to reduce the amount of waste that makes it into the sea, beyond what efforts are already being made. As with seabirds, the number of turtles that have ingested plastic or another type of trash is expected to continue rising as long as pollution levels stay as they are. Reduced trash means fewer animals will be in harm’s way. But researchers were sure to warn that if turtles and birds were ingesting plastic with this kind of frequency, other animals surely are as well. Although studies haven’t been performed on fish or aquatic mammals, it’s only a matter of time until we start finding plastic in their digestive tracts too. Andrew White, President and CEO and Dr. Don Kirk (back), Vice President, Research and Development, are co-founders of SulfaCHAR. Photo: SulfaCHAR. Biogas is a carbon neutral alternative to fossil fuels that can replace natural gas and be used to produce electricity. Unfortunately, the decomposition process that comes along after biogas is used as a fuel creates a number of nasty chemicals and can be costly to dispose of properly. 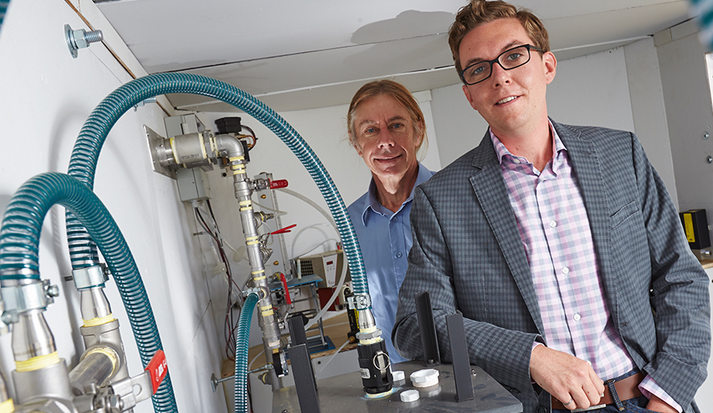 Enter Andrew White, a chemical engineer from Canada, who has developed a system to neutralize the chemical waste produced while using biogas as fuel. Not only does it eliminate the waste, it actually turns it into something useful: fertilizer. Biogas makes use of methane, and one of the best side effects is that it keeps that methane from reaching the atmosphere, where it is far worse for the climate than carbon dioxide. About 22 times as bad, actually. So biogas helps keep methane down, but the bacteria which produce biogas also produce hydrogen sulfide, which is toxic. The trick to using biogas is getting the hydrogen sulfide out, which White’s process does by converting that hydrogen sulfide into sulfur. We’ve been using sulfur as a fertilizer for quite some time now, and its safe to use as such. Called SulfaCHAR, the product is produced at a University of Toronto research spin-off called CHAR Technologies, which recently received a grant from the Canadian government. So far, production is small, but it’s already being put to use to clean biogas and produce fertilizer. With the help of the grant, $750,000 CAD (about $570,000 USD), SulfaCHAR will be able to ramp up production to about a ton per day by next spring. A year after they should be able to produce about 10 tons per day, which would be enough to serve 100 renewable gas plants. Products like SulfaCHAR are going to be increasingly important over the next century or so, as we struggle to reduce or, if possible, reverse the effects of climate change on the Earth. Cut back on waste this Christmas by using fabric or reusable wrapping. This year, get into the holiday spirit and help save the planet. All you have to do is go a little greener while planning your Christmas festivities! It’s not hard to have a very un-green holiday, but just a few simple steps will help you cut down on waste you may not have even noticed before. 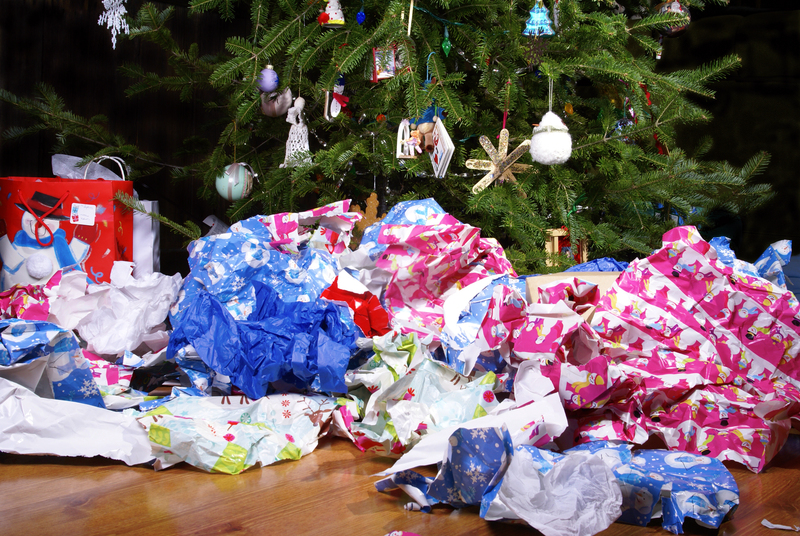 Instead of using and then discarding a ton of wrapping paper, ribbons, bows, and boxes, rethink your strategy. Use reusable gift bags, repurpose old boxes and bows (and then save them for next year), and consider using cloth wrapping. Then, you can simply fold up the wrapping and use it again next year. There are many great ways to wrap fabric that don’t even require tape or ribbons—now that’s what I call going green! Check out some ideas in books like Wrapagami by Jennifer Playford. Think your decorations are eco-friendly because you use them over and over? Think again. Electric Christmas lights can use up a ton of electricity and cause a fire hazard. Replace those old strings of light with LED lights (some are solar powered!) that are RoHS-compliant (AKA, toxic-materials free). And instead of buying plastic decorations that could contain toxic chemicals like lead, instead think about going all natural with popcorn-and-cranberry strings, fresh boughs, and more. Remember that life’s greatest pleasures don’t always come in neatly wrapped boxes. Instead of buying family members and friends a ton of new possessions, instead consider sharing an experience with them—go on a family outing or have a nice dinner together.